Announcement ♥ Welcome to Sweet Sophia Designs. We specialize in *Handmade* applique apparel for children. Every piece is made right here in our STL studio. Personalized orders are non refundable three days after purchase, you always have the option of purchasing a production RUSH if needed. Holiday and personalized items are not eligible for exchange or return unless a mistake was made on our end. We sell exclusively here on Etsy, if you see or purchase an unauthorized copy from another online source just a warning, you are not purchasing our original design nor is anything backed by our return policy. USPS Standard Shipping takes on average 3-5 Business Days. 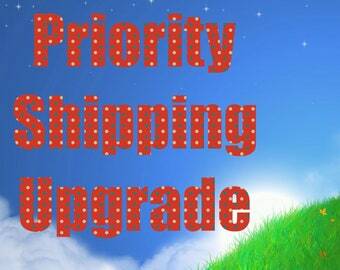 You may upgrade to USPS Priority shipping, we ship from St. Louis, MO so given where you are located Priority shipping averages 2-3 business days. Express shipping averages 1-2 business days. We design cute! Our quality, designer, children's applique clothing is designed and made for everyday play wear. Dress them in quality, class and comfort. Every piece is made with ♥Love♥ in our St. Louis, MO Studio. Every order is packaged for gift giving. Thank you for supporting handmade. Every fabric applique is uniquely designed by Gina using quality, designer 100% cotton fabric. We hand cut each fabric applique, fuse them onto the shirt/dress and then securely sew them in matching thread color with either a straight machine stitch or a zig zag machine stitch. All embellishments are securely attached. Every skirt is made with 100% designer cotton and professionally finished. Please wash all garments inside out, line dry and warm iron if needed, be sure to always cover our precious appliques with a pillowcase before ironing. We want you to be happy with your purchase so we stand behind each piece made. Please contact us within three days of receiving your order if there is an issue. Personalized orders are non refundable three days after purchase, you always have the option of purchasing a production RUSH if needed. We consistently check messages during normal business hours M-F. Please only contact us through the etsy shop. Please allow up to 6 hours for response before re-sending a new message. Thank you for visiting and we look forward to making something for you soon! ♥ Welcome to Sweet Sophia Designs. We specialize in *Handmade* applique apparel for children. Every piece is made right here in our STL studio. Just some fun new prints waiting to become skirts sets! Coming soon! Premium, 10 layer tutus. Our new personalized birthday set is so sweet! And a special thank you to Dana for making skirts today. We offer a large selection of shirt and dress colors! Handmade appliques traced and cut by hand. Always lots of orders going out the door. Each applique is securely sewn with a top stitch by Gina herself. Made with lots of LOVE! Sweet Sophia Designs was started in 2010, by a St. Louis mom who wanted quirky, beautiful clothing for her daughters, and couldn’t find anything that satisfied her. Gina Kasoff named the business after her daughter Sophia, who was her model for many years. With a Bachelor of Design, and a lifetime of sewing experience, starting her own children’s clothing business was a natural step. Gina specializes in handmade birthday and matching holiday apparel, using appliques and embroidery for embellishment. The result is an ever changing variety of outfits to fit every special occasion, and for everyday wear. With a devoted customer base throughout the country, her products are offered exclusively through Etsy at this time, and can be accessed at www.sweetsophiadesigns.com. Every item is handmade from a custom design, using quality fabrics, hand cut appliques, and boutique grade 100% cotton shirts and dresses. Each outfit is a little work of art, and is carefully inspected before shipping. Gift wrap and hand written notes can be included at the customer’s direction. Gina is the founder, sole designer and maker of all pieces. She holds a Bachelor of Designs and enjoys every minute spent in her studio. Nick helps Gina with any and all administrative tasks. He handles most product purchases and will even help with shipping on busy days. Dana is our new, talented embroidery artist and we are so lucky to have her on our team!